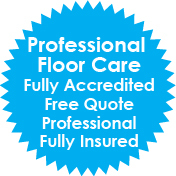 Are your carpets in Dural beginning to look drab and dirty? Maybe they've collected quite a few stains from the kids, or your pets have tracked in some dirt. There are many reasons you might be looking for carpet cleaning services in Dural. The most obvious is because it improves the appearance of your carpets, and makes your home look better. A cleaner looking home leaves you more comfortable and helps with that first impression guests make when they visit. However, there's more to cleaning your carpets than just improving the appearance. Cleaning your carpets can also improve the health of your family. It's recommended that you vacuum carpets at least three times a week. This is especially true if any of your family members suffer from conditions like snoring or asthma that can impact their respiratory function. Also, it's suggested that your carpets be professionally cleaned at least once a year to keep your home healthier. Having your carpets cleaned by experts on a regular basis can benefit you in three important ways. Many people in Dural wait until their carpets are showing visible dirt and stains to call a cleaning service, but even a rug that looks good can be holding onto things that cause indoor air pollution. These may include things like dirt and dust, pet dander, and particles from the air. Airborne gases can stick to these pollutants and become trapped in the fibres of your carpet. This toxic mixture is loosened and released into the air every time someone walks across the room. Vacuuming can also release trapped particles, creating indoor air pollution that might be making your family sick. Carpet cleaning professionals in Dural can remove these toxic particles from your carpet with high-powered vacuums and kill bacteria with a combination of steam and shampoo formulas designed for this purpose. Dust mites are microscopic organisms that can be everywhere in your home and you wouldn't even know it. As they crawl around, they leave faeces and body parts behind that are so tiny they can be inhaled and cause allergies to flare up. Many homeowners aren't aware that they have a dust mite infestation and that they're making the problem worse every time an area is disturbed by activities like walking, vacuuming, and children playing. Carpet cleaning experts use high-temperature steam cleaning that kills mites and takes care of infestations. Mould is a toxin that can be harmful to your health. When moisture is tracked into your home, it can get trapped deep within the fibres of your carpet and create an ideal environment for mould growth. This can be prevented by regular carpet cleaning. Professionals will use high powered equipment to dry your carpets and extract moisture, thereby preventing mould and mildew growth. Contact Dawson Carpet Cleaning today for a free estimate. We're the carpet cleaning experts in Dural offering services that will get your family on the road to better health.